(Silver Spring, Md. 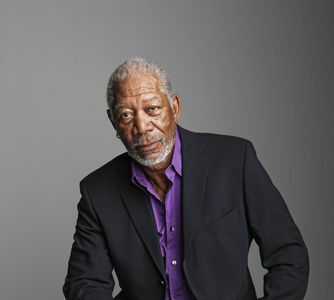 )-Academy-Award® winner and movie legend Morgan Freeman returns to host a mind-blowing third season of SCIENCE's breakout hit THROUGH THE WORMHOLE WITH MORGAN FREEMAN on Wednesday, June 6, at 10:00 PM (ET/PT). Featuring nine all-new episodes, the series boldly asks mankind's most vexing questions, digging deep into the innermost workings of the mind and searching through the complexities of the universe. The questions asked are not only entertaining, but also continue to incite the curiosity of viewers in SCIENCE's most popular series. 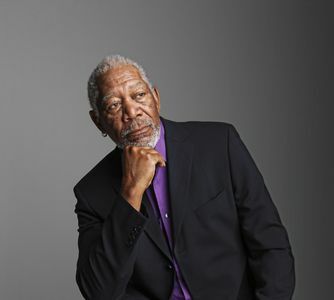 THROUGH THE WORMHOLE WITH MORGAN FREEMAN launches the new season asking one of the most controversial questions ever with "Is There a Superior Race?" challenging experts to offer the audience an idea of where humanity may be headed. Other topics explored include "Is the Universe Alive?," "Mysteries of the Subconscious" and "Did We Invent God?" 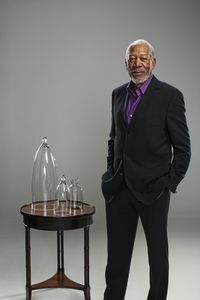 "Working on this series is like having our own scientific conduit into the minds of physicists and cosmologists as they confront the mysteries of our universe, allowing us to explore, along with the viewers, so many complex theories that are at the leading edge of science today," said Freeman. "With THROUGH THE WORMHOLE we tackle tough questions of the mind and universe, and embrace the scientific pioneers who are brave enough to present new ways to view the world around us. 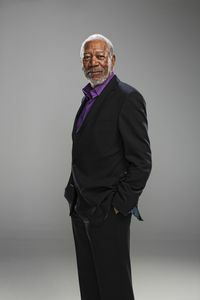 In season three we dare to take on some of science's most forbidden topics"
THROUGH THE WORMHOLE WITH MORGAN FREEMAN brings a dynamic and innovative approach to brain-twisting subjects that transport the viewer to new perspectives by asking difficult questions that cut to the very nature of the universe, mankind and existence. Relying on the world's top experts and out-of-the-box thinkers, season three delves into groundbreaking scientific research, combining spectacular visual effects with informative hypotheses and' closely examining each subject to give audiences new knowledge about some of science's age-old questions. "Partnering with the incomparable Morgan Freeman and Revelations Entertainment on THROUGH THE WORMHOLE WITH MORGAN FREEMAN has been a creative adventure of ideas that turn your thinking upside down," said Debbie Adler Myers, general manager and executive vice president for SCIENCE. "The series explores the biggest questions we have about the vast universe and intimate inner-verse and is one of our defining franchises at SCIENCE. We are proud to be premiering our third season with questions that push the envelope." THROUGH THE WORMHOLE is produced by Revelations Entertainment and The Incubator. James Younger is executive producer. 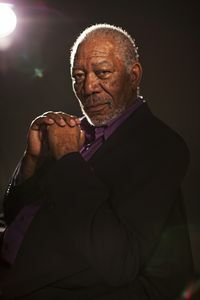 Morgan Freeman, Tracy Mercer and Lori McCreary are executive producers for Revelations Entertainment. Bernadette McDaid, Rocky Collins and Deborah Adler Myers are executive producers for SCIENCE. McDaid is vice president of production for SCIENCE, and Myers is general manager and executive vice president for SCIENCE. Episode 1: IS THERE A SUPERIOR RACE? Are the races different on the inside as well as the outside? Is there even such a thing as race at all? Could advances in technology soon create a superior race of post-humans? Given the incendiary history of the topic of racial superiority, this is a hard question to ask. The answer may tell us where humanity is headed, what our descendants will look like and how they will think. Episode 2: IS THE UNIVERSE ALIVE? As scientists peer across the galaxy, a new revelation emerges: The universe is shockingly organic. Are the secrets to the life and death of the universe hidden not in physics, but biology? Could it be that the universe is alive? Episode 3: WHAT MAKES US WHO WE ARE? What is it that makes you, you? Is it the things we know, the people and places we've experienced? Or is there something deeper, less tangible that captures our essence? Scientists are searching for the core of who we are-some would call it the soul, others, our personal identity. To do so, they are probing the last great frontier of human understanding: the brain. How do we become who we are? Episode 4: WHAT IS NOTHING? Is empty space really empty? Or is it filled with hidden forces? Scientists now regard understanding the true nature of empty space as the deepest and most baffling mystery they face: one that will explain where the universe came from, whether it is fated to expand into oblivion or whether it will undergo another dramatic transformation that could destroy everything we know. Episode 5: CAN WE RESURRECT THE DEAD? The cycle of life carries us all from birth to death. What if we could change all of that? With cloning and genetic engineering, we can bring back extinct animals. But could we also bring back dead humans? Is it possible to keep our brains alive after our bodies have died? Could we rise from the dead in some strange new form? Can we - should we - resurrect the dead? Episode 6: CAN WE ELIMINATE EVIL? What drives some to torture and kill without remorse? Why do seemingly normal people commit acts of cruelty and violence? From where does evil come? Today, researchers are uncovering the hidden forces that inflame our inner demons ... looking for ways to isolate and neutralize the source of evil in the brain. Is it really possible to change human nature? Are there secret powers locked away inside your mind, waiting to be unleashed? Is it possible that the subconscious mind knows more than you ever will, and that your conscious mind is holding you back? Do thoughts control actions, or the other way around? New research shows that breaking down the walls of the subconscious may make people healthier and more creative. There are also dangers lurking in the dark recesses of the mind. Episode 8: WILL ETERNITY END? Many religious traditions have predicted that our world will come to an apocalyptic end. Scientists agree that Earth can't last forever, but disagree on whether the universe and time itself can ever disappear. Some may hope for eternity, but the possibility of never-ending time has mind-bending implications for the present. Episode 9: DID WE INVENT GOD?